The Chief Editor and pin-up boy for Football Paradise, an internationally-acclaimed football blog. Top lad. 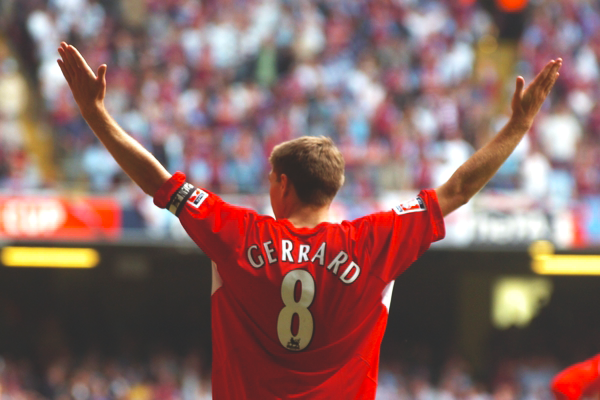 Where will the next Gerrard come from? Not England. English football and the identity crisis. Britannia was at a standstill. A synchronized churning in the collective gut across the length and the breadth of the class system. A moment of seething white introspection was numbing the mental faculty of the great Empire. This quiet before the storm was of course, a precursor. A rumbling, thundering spiel of indignation came down by the bucketful. The nation of the self-righteous felt scandalised. Someone ought to take responsibility! The score was England 3 – Hungary 6. The year was 1953. 13 years later England were World Champions. A fairy tale narrative, right? Three sweepers, two half backs, two playmakers, two wide forwards, one centre forward. Winning the World Cup was the worst thing that could have happened to England. The antiquated WM formation and regimental training methods remained as is. As a nation, the natural response of that rollicking Hungary afforded, was to broom it under the carpet. And why not? – thought the governing body – before Hungary, England was only ever embarrassed once in their fiefdom by The Republic of Ireland. An anomaly, they deduced – Of course, it had to be a fluke. But as posterity saw, England’s run in the 1966 World Cup was more the case of a shot in the dark, than anything else…England winning the World Cup was a fairy tale and it remained so since. Fast forward, it’s 2015 – a year shy of half-a-century. It has only been a couple of years since the glaring lack of infrastructure and vision in the English under-21′s were acknowledged. Before the Barclays Under-21 Premier League, there were only a handful of fixtures that were made available for the young’uns to compete in, with the reserves having to wait for as long as four weeks to play in a ‘competitive’ fixture.. The lack of a grander, more comprehensive model to blood the English youth was further underpinned by the sheer parochialism and aloofness as to which the bigger teams approached the games. Senors over at the Liga Nacional de Futbol Profesional, however, weren’t as myopic as their English counter-parts. They answered the question before it was even posed. First appeared in 1954, this popular British comic strip follows the heroics of the first fictional footballing all-purpose, heavy-duty superstar. The paella pandering pioneers envisioned a ‘Segunda Division’ where the heavy hitters of La Liga above can field their reserve teams to play in full competitive matches against seasoned professionals fighting for promotion – giving Spanish youth every opportunity to make it to the top level.The catch being that the reserve sides were not eligible for promotion. So, say, if Barcelona B topped the table, the team below it will leapfrog into the bright lights of La Liga. Bright idea, innit? Brighter still when you consider the fact it was 1939. “I was put on this earth to steam into tackles. For most professionals, tackling is a technique. For me, it’s an adrenaline rush … the sight of the other team with the ball makes me sick … I have to claim it back. It’s my ball, and I’m going for it. 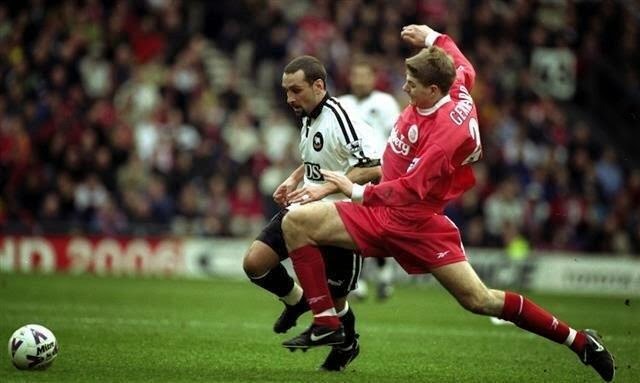 “Tackling is a collision which sorts out the cowards from the brave.” – Steven Gerrard, on the subject of tackling. Where does Steven Gerrard feature in this? Oh, he does, abundantly. 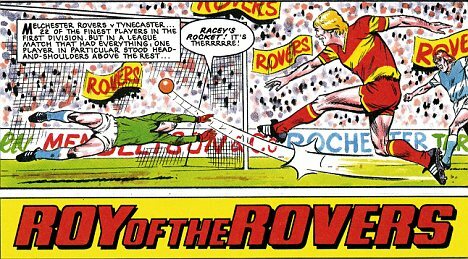 Steven George Gerrard from Whiston, Merseyside is the living, breathing Roy of the Rovers. A working-class boy who outgrew the word ‘impossible’. A leader among men. An exhibitionist of the teeth-gritting, flying full-blooded tackle and the Hollywood pass. A hurricane with studs on, twisting and turning with the ball at his feet and without – leaving haplessness and wanton hope in his wake. A manifestation of defiance, seething energy and physical courage. A lightning rod for footballing miracles – he will be remembered in posterity, among the football pantheon as one of the most complete players to ever play the game, and yet… somehow falling short. Essentially, a text-book summation of English-est of the ‘English players’. A perfect point of reference. There has been a tectonic shift in the geography of the footballing landscape. One whose ripples have been felt across the cream of English football. The big, burly and the cumbersome number nines have been pushed towards the brink of extinction like the well-meaning Dodo birds. The wide-eyed, flarey-nose, gritty-jawed water carriers are now being decommissioned by smooth operators. Globalisation, ladies and gents, has fluxed the balance, dismantling the steam-powered machinery of ‘British’ football bit by ‘archaic’ bit. 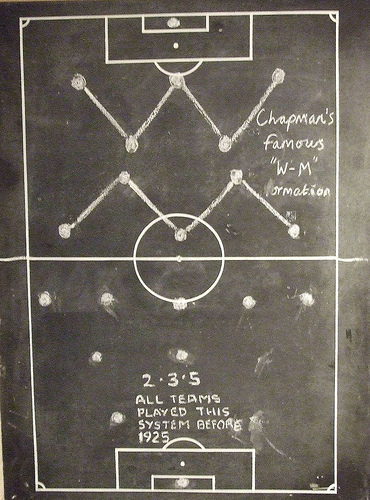 The impetus now lies with the English academies churning out the diminutive, fleet-footed and the tactically leashed. The Premiership is an exhibition of the best in the world. But at what cost? As if, after years of sheer negligence there is a pressing need to over-compensate with hubris. An infernal loop-de-loop. While the blowhorn badgering, persistent pilloring, a self-conscious Luddism, a superior-inferiority complex hasn’t helped with the disillusionment of past international tournaments – the response to uproot core values of the ‘English game’ is hardly prudent. Italians have stayed true to their wily cynicism, Brazil to their flippancy – if England, as the trends suggest, look to disown their bravado, in the face of the brightly-lit express-way of a ‘working’ international route; in stead of the rocky roads of acknowledging deficits and self-actualisation – England will lose itself and future Gerrards in a haze of yet another hamartia. Someone ought to take responsibility. 3 Reasons why Patience is Key for Liverpool. Caught between journalistic platitudes, propaganda, or the calls for instant-success, it’s easy to lose sight of the bigger picture in football. Here’s three reasons why patience is not only a virtue, but a need of the hour. “Natural enthusiasm – that’s the whole thing. It’s the greatest thing in the world!” – Bill Shankly. Replacing the 3rd best player in world football is no mean feat. In the record-breaking 2013-14 season of the Barclay’s Premier League, Luis Suarez was the engine in the Liverpool machinery – a manifestation of ‘natural enthusiasm’ – a virtue Bill Shankly spoke of so emphatically. There exists a thin line that separates good players from great players – good players play well, while great players make good players play better. On his own, while he was relentlessly, single-mindedly sniping away at the heels of anyone who had the gumption to keep the ball from him – the entire team pressed or covered space in regimental harmony. An ebb and flow of a near-perfect synchronicity. Singularly, Luis Alberto Suarez was a player for the collective brilliance; and his absence cannot be understated. A Liverpool bereft of his qualities, nevermind his goals, will require new recruits and the old guard, singing off the same hymn-sheet again. Trial and error is all a part of the dance. “That’s the problem with being a manager – it’s like trying to build an aircraft while it is flying.” – Brendan Rodgers. Pragmatically, objectively, securing Champions League spots for next year is important for sustained progress. Liverpool had to make do with the deficit of revenue off the pitch, and the consequent dearth of quality on it. A failure to do so, saw the club caught in a vicious cycle of sub-standard results garnered by sub-standard players piling sub-standard performances, ending up in a sub-standard league position. Affluent Manchester City struggled to get out of their group, on their two successive seasons of Champions League football, despite every resource at their disposal, proving the transition of Premier League success to Europe is hardly ever straightforward. While this season’s European foray may prove to be a learning curve for Brendan Rodgers and his young blood, up against seasoned opposition, the experience will prove invaluable. “I believe a young player will run through a barbed wire fence for you.” – Brendan Rodgers. Raheem Sterling (19), Coutinho (22), Emre Can (20), Javi Manquillo (20), Alberto Moreno (22), Divock Origi (19), Jordon Ibe (18), Jordan Rossiter (17), Jon Flanagan (21)… There are very few clubs in Europe that can boast a more able-bodied set of youngsters, and fewer managers in the European game who are more competent than Brendan Rodgers, when it comes to nurturing youth. A tough season in character building, learning curves, acknowledging deficits and coming to the fore, will only further polish the diamonds in the rough, in course, for what should make for an exciting future.